Anurag banne ki koshish mat kar! When I was in school I was often reprimanded by my parents for spending time with kids who were seen as errant, disobedient and generally rebellious. The fear that their child would not conform to what the world perceived as ‘correct’ and ‘good’ made me believe that spending time with them or secretly trying to be like them was the stuff fantasies were made of. Then I went to college. There were some boys who were always at the centre of every crisis, the reason for indiscipline and generally a bad influence on the rest of the class. Our professors, hostel wardens, good students and parents wanted us to be as far as possible from these unholy influences – lest their ward’s career would get jeopardized in such august company. Then I started working. I got married. I had a wife. I had professional colleagues. I was prohibited from spending time with friends who went out to the theatre and then spent hours in a small room drinking, smoking and discussing stuff that was irrelevant to daily survival o r totally out of sync with a professional growth plan. They were called destructive, careless and wastrels. Then one day I got an opportunity to travel out of the country on an assignment. I was alone. No parents. No wife. No colleagues. I did everything I was prohibited from doing. I spent time with all the people I was conditioned to stay away from. I started appreciating music. I started viewing art. I started reading poetry. I discovered a love for the movies. And then movies hit me. I returned home a different man. I returned home to a shocked family. My clothes were no longer neat. I had thrown away my ties. I was wearing old jeans. I was drinking rum. I spent all my free time either watching movies or listening to music. And I had a lot of free time. And I had no job. And I wanted to make movies. I realize that my story is getting rather lengthy and that I need to make my point now. In the process of trying to make movies and finding my feet as a different human being without a care for the future I met four people who changed my life. Each of them in their own ways had a very deep influence on my life. Being influenced is neither positive nor negative. It is simply an experience that shapes your likes, dislikes, beliefs, convictions, preferences and choices. Vishal Bhardwaj, Ashish Vidyarthi, Manoj Bajpai and finally the subject of this lengthy treatise – Anurag Kashyap. Because of Vishal I met Ashish. Because of Ashish I met Manoj. Because of Manoj I met Anurag. And my first film was born. But that is not the point. Anurag was a brat. He had an opinion. He had a voice. He listened. He paid no heed. Money could only buy him published screenplays and movies. And occasionally pay his rent. So here was this passionate, opinionated, radical, often random, sometimes cynical brat who had scant respect for convention or rules. He reveled in argument, enjoyed criticism, angered critics, rubbished stalwarts, revered rebels, rejected idiots and suffered fools. Years passed. We drifted apart. I made many films – some decent, some memorable, some downright atrocious. 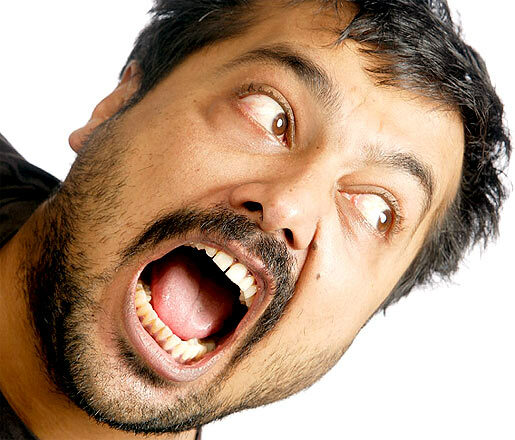 Anurag wrote some great films, some terrible films, and made some brilliant films. He continued to anger many. His films were banned. He was mauled, heralded, hated and celebrated. Not much had changed about him. The only difference was that people now listened to him. His voice was heard. But few agreed with him. He was still a rebel with an unknown cause and unlimited anger. He listened to everybody but paid heed to nobody. Anurag became the equivalent of the bad company my parents and my family had prohibited me from e mulating or getting associated with. Conventional wisdom perceived him as destructive, indulgent and subversive. Any unusual story that I would narrate met with the refrain ‘Anurag banne ki koshish mat kar!’ (Don’t try to be another Anurag!). For the well heeled, for the formula suckers, for the greedy Anurag was a bad word. For the dead before it was alive Indian indie scene Anurag was a messiah. He made what he wanted without really caring about the audience or the eventual consequences on his career or finances. He was somebody you always aspired to be but would never have the courage to be. I saw his new film ‘That Girl In Yellow Boots’ sometime early this year. And then I saw it last night. I have maintained that I am not qualified to review a film. I can only react to a film. 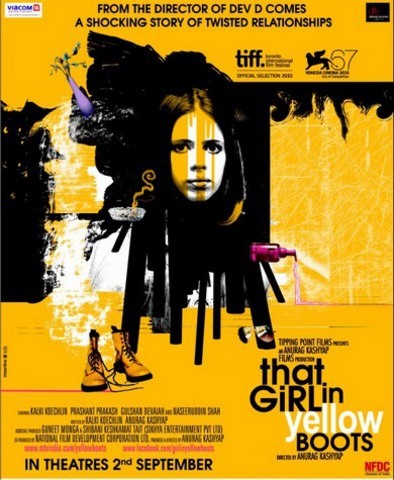 ‘That Girl In Yellow Boots ‘ is is a fearless film made by the same brash boy I met nearly 14 years ago. Irreverent yet intensely cinematic, indulgent yet arresting, cold yet unabashedly emotional, soft yet utterly brutal this is Anurag’s most honest film to date. The narrative is unhurried, the rhythm is soft, the handling is deft and the vision is clearly that of somebody who is totally in control of his medium. This is a film that will occupy the highest place in his oeuvre. This is Anurag’s dance in the rain. This is Anurag’s subversive poetry. This is a cinematic representation of Anurag’s disturbed mind. This is a film that will disturb you. Whether you like it or hate it you cannot afford to ignore it. This is a film that needs to be supported if there is to be any hope for independent cinema in this suffocating, star driven world of folly called Bollywood. I wont rate TGIYB that high. For me, Black Friday, Gulaal and the unreleased (unfortunate) Paanch are his best works as a film maker and wud rate Satya as his best work,as a writer. the plainness with which Shahid was made, turned out to be its USP… this was what actually transported the audience into Shahid’s life, it became so profound, so deep… and now compare that to Ugly… a film with such a spine-chilling plot supposedly based on true events, lost all its impact in trying to strike the balance between commerce and art by being a suspense thriller, and occasional comedy…… Again, Gangs of Wasseypur portrays the talents of a film-maker in every scene, no doubt about that, but ultimately, in the name of freedom of art, what does it do other than glorifying a gangster…. Faisal became the apple-pie of every commoner’s eye…. the plight of losing your family, the plight of the victims, the plight of a city living in dread is all kept in the ellipse… this film is about Faisal’s romance, a story of vengeance, bloodshed…. and now, the disaster of Bombay Velvet…. Where is Black Friday, where is That girl in yellow boots… these people sitting and giggling with him in IIFA, AIB roast, the villain of Bombay Velvet, are stealing his voice… his attempts to align himself with the mainstream is taking him away from that room of indisciplined people sitting, talking, drinking, smoking, discussing…. 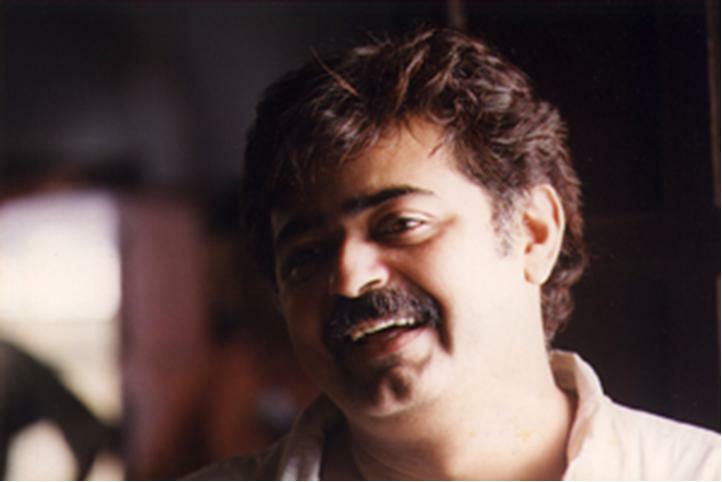 INDIPENDENT MOVIES KI JAY HO…….HANSAL MEHTA. Next Next post: Is It Worth The Pain?